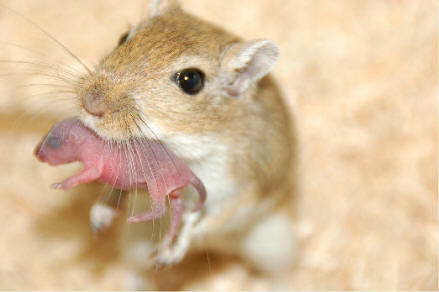 True Wild Life | Gerbil | Gerbils are naturally found in the sandy plains of Africa, Asia and the Middle East. The gerbil was originally known as a desert rat until they were commercially introduced to North America and bred as pets. 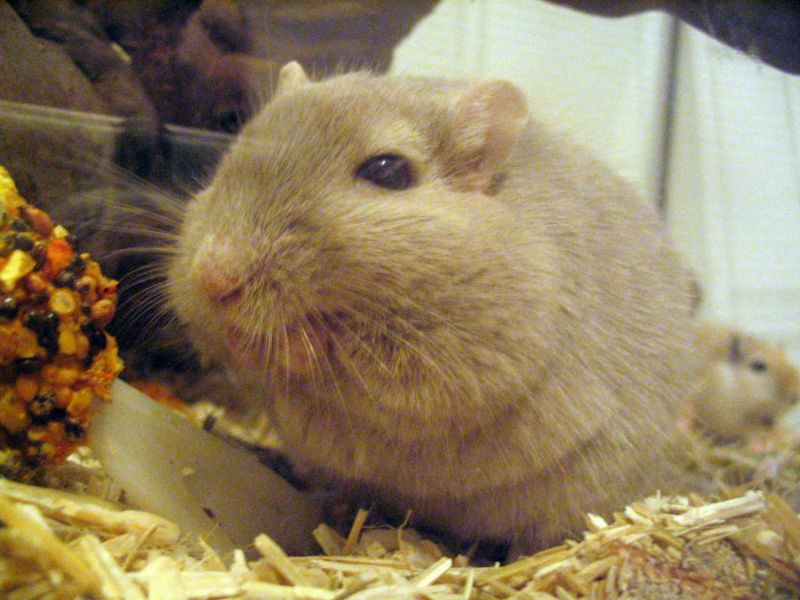 The gerbil is a small rodent, similar in many ways to by the mouse and the hamster. Gerbils have a long tail like a mouse which the gerbil is able to shed should the tail get trapped. This self defense mechanism allows the gerbil to escape predators, leaving them with just a tail. 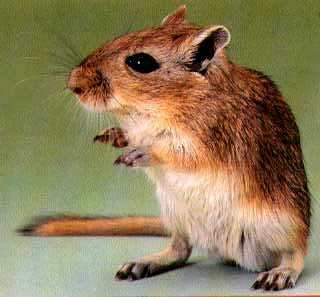 Gerbils have sharp claws which the gerbils use to burrow their way into the sandy grounds of the desert. The gerbils are also able to use these underground burrows to get away from danger by quickly disappearing under the sand. 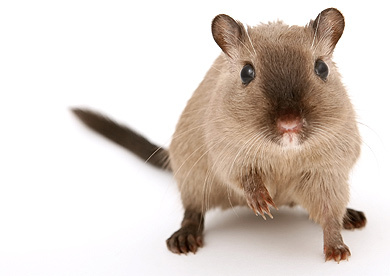 There are thought to be more than 100 different species of gerbil that are found in the wild with the majority of these gerbil species being diurnal. However, many gerbils that are kept as pets live a more nocturnal lifestyle meaning that pet gerbils tend to be awake during night time hours more than day time hours. Wild gerbils are well known for building extensive networks of tunnels that the gerbils are able to hide and breed in. The gerbil only really comes to the surface of the ground when the gerbil needs to find food and water. The long and releasable tail of the gerbil is around the same length as the gerbils body, but it appears to depend on the individual gerbil species. The gerbil uses its long tail to help the gerbil balance when the gerbil is standing on its hind legs.